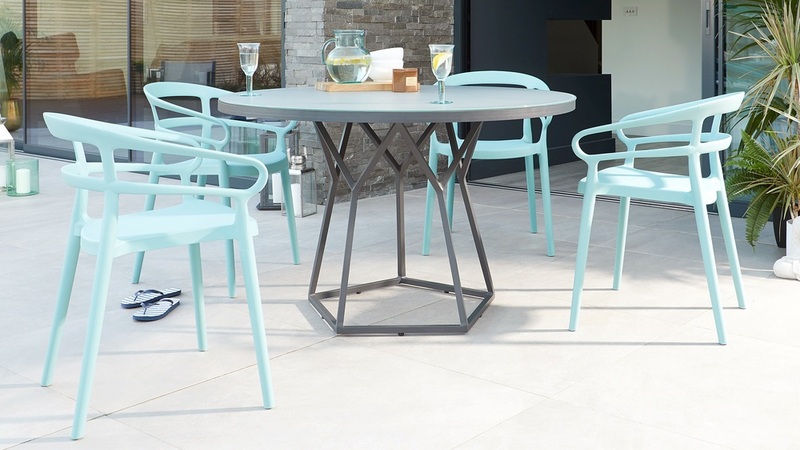 If you’re looking for a garden dining set that’s durable, practical and stylish, then look no further than the Porto Round Table with Alma chairs. 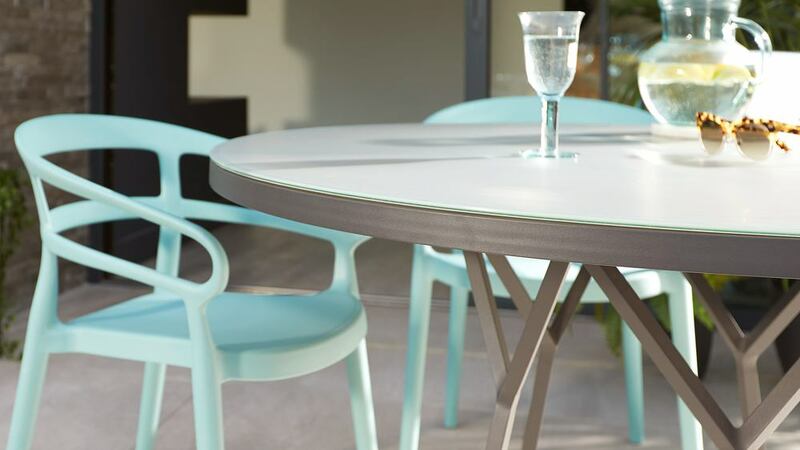 This garden dining set combines a premium finish table with frosted glass top and geometric design, with colourful, playful and functional plastic chairs. The Porto dining table’s standout feature are the strong, pentagonal lines of the pedestal base. 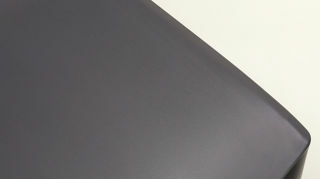 This design is exclusive to Danetti, lovingly created by our in-house designers which means you won’t find this table anywhere else on the market. 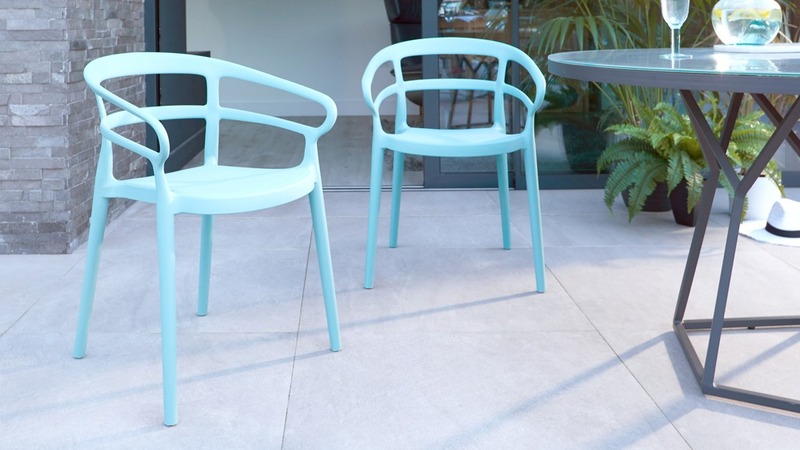 Made from molded Polypropylene, the Alma Garden Chair is it wipeable and easy to clean, either with warm soapy water or an antibacterial spray if needed. 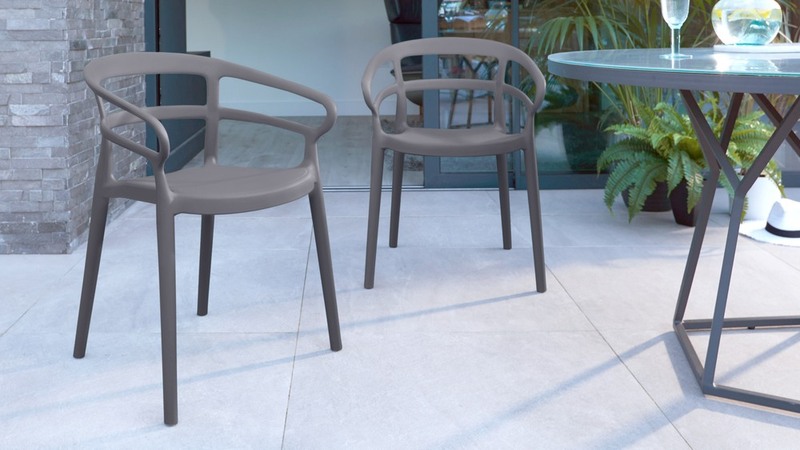 The smooth plastic surface is also water resistant making the Alma dining chair low maintenance, hygienic and a great choice for busy families. 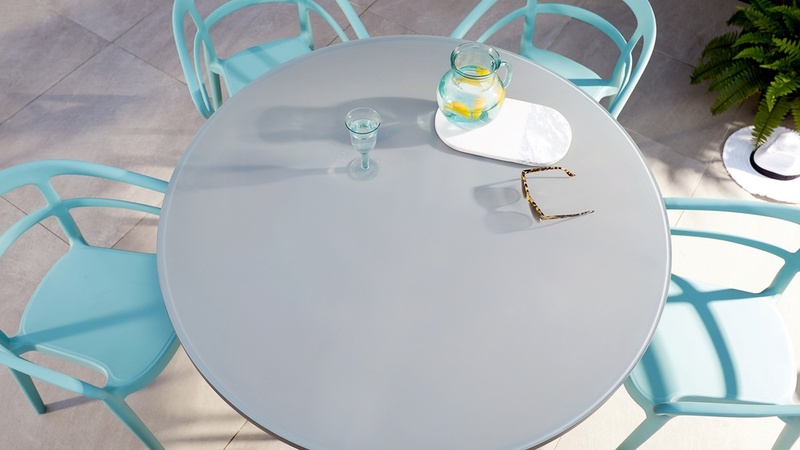 The grey frosted glass top on the Porto table, has a hazy and soft appearance, which really gives it a premium look. 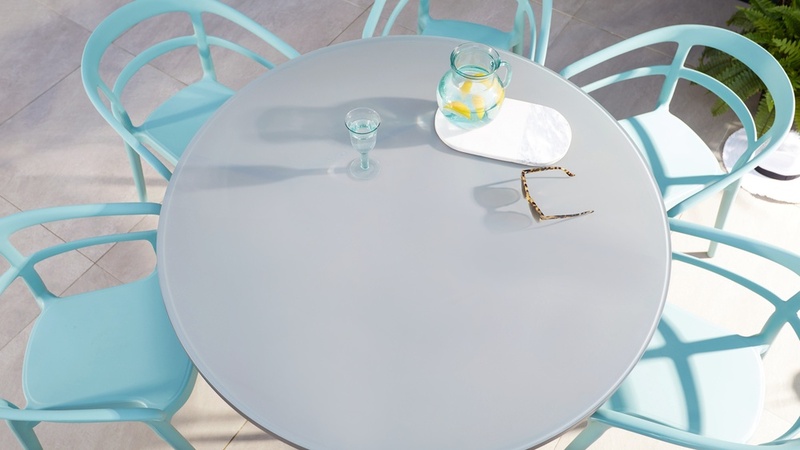 An additional bonus of frosted glass is that it isn't overly reflective which means you won't get a glaring reflection of the sun while you’re dining al fresco. The Porto table is generous is size so you can always pull up some extra chairs if catering for a larger group. 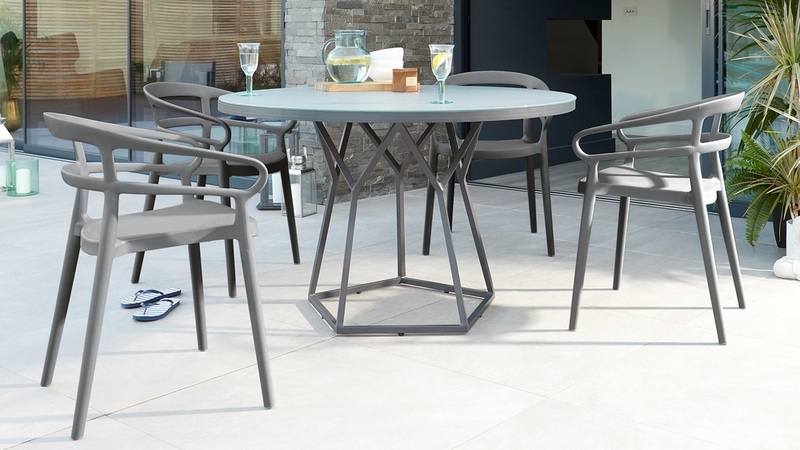 Outdoor dining tends to be more informal than indoor dining so you can add more chairs as and when you need them. 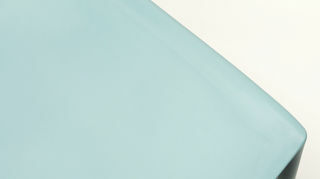 The Alma is a stackable chair, which means they won’t take up too much room when not in use. So, whether you decide to store them at the back of the shed or at the side of your patio the Alma won’t take up too much room. 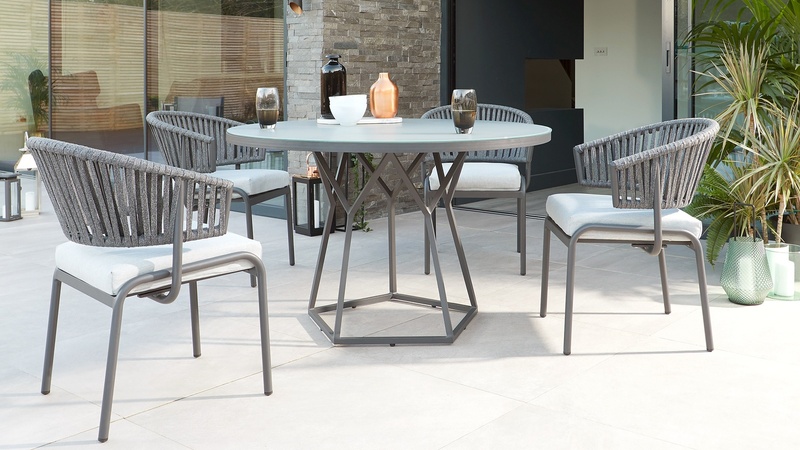 For the most comfortable outdoor dining option, the Alma has been designed with a curved back and arms. This means you can lean back and enjoy long, leisurely dinners with family and friends. Like the Porto look but after a different style chair? Check out the Porto and Ivy Set or the Palermo Corner Bench for a larger dining set-up.